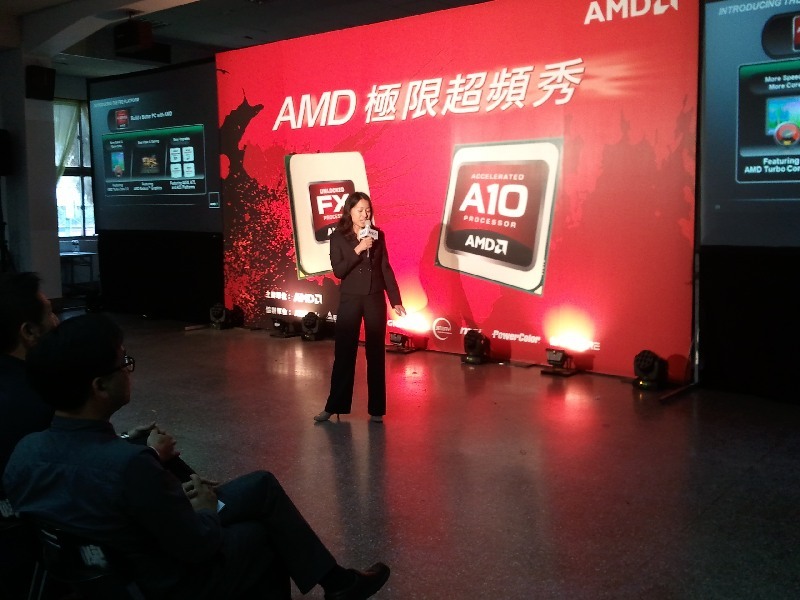 As you know from the news article we posted a couple of days back, on November 20 AMD Taiwan hosted its Vishera launch at the Taiwan Beer Factory. Four of the eight (and not seven!) 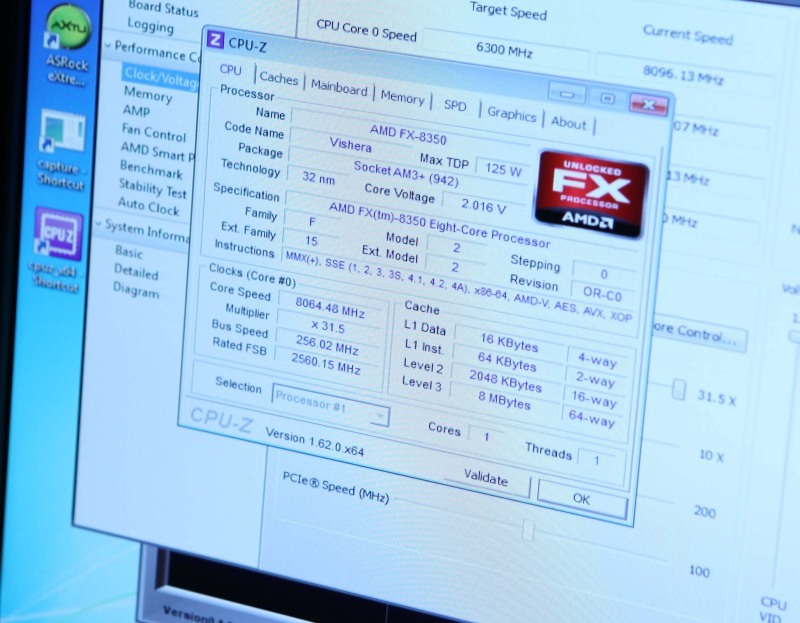 invited AMD mainboard partners showed up to the event with one or two extreme overclocking systems to demo the overclocking capabilities of the new Piledriver FX-8350 and Trinity A10-5800K CPUs. 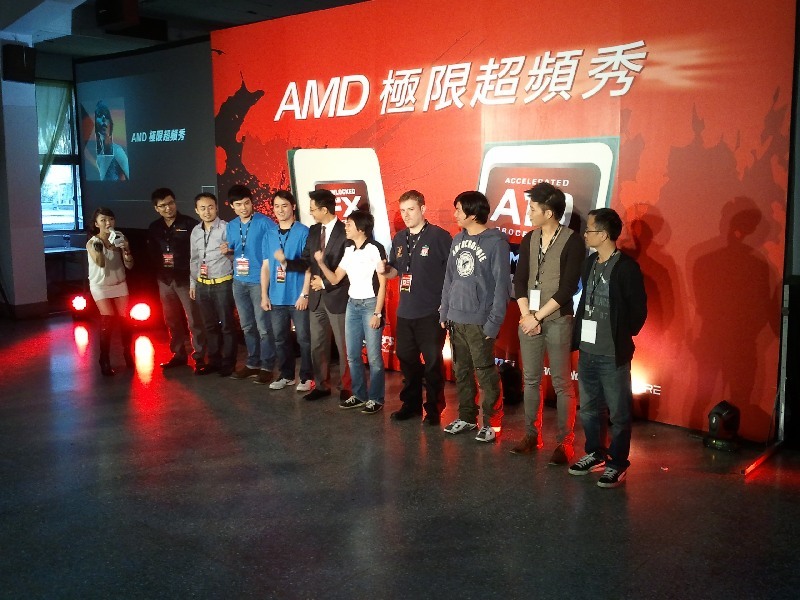 The line-up consisted of ASRock, Biostar, GIGABYTE and MSI. Three vendors did show up at the event, but only showed their products: ECS Elitegroup, Jetway and Sapphire. We only found out about Sapphire’s presence on the event day, hence why we did not mention them in our news post. 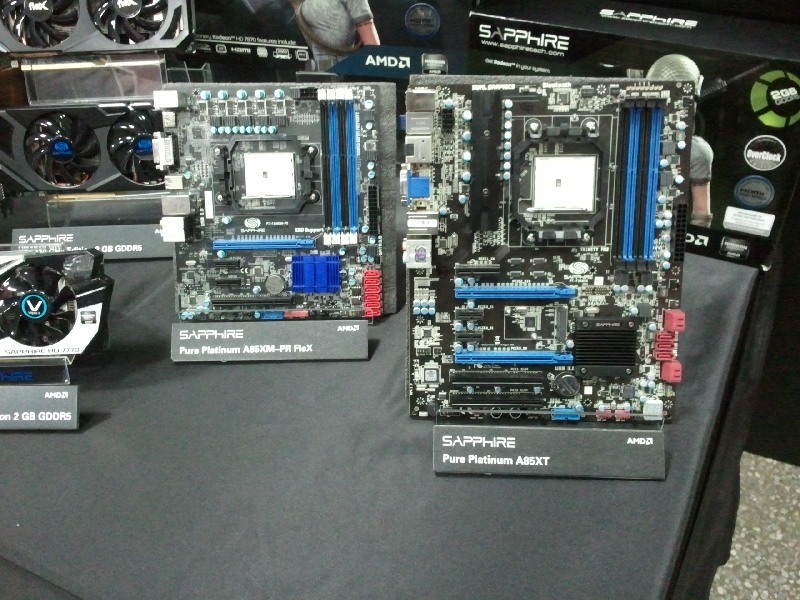 The only vendor lacking from the event was #1 mainboard vendor ASUS, but that didn’t spoil the fun. 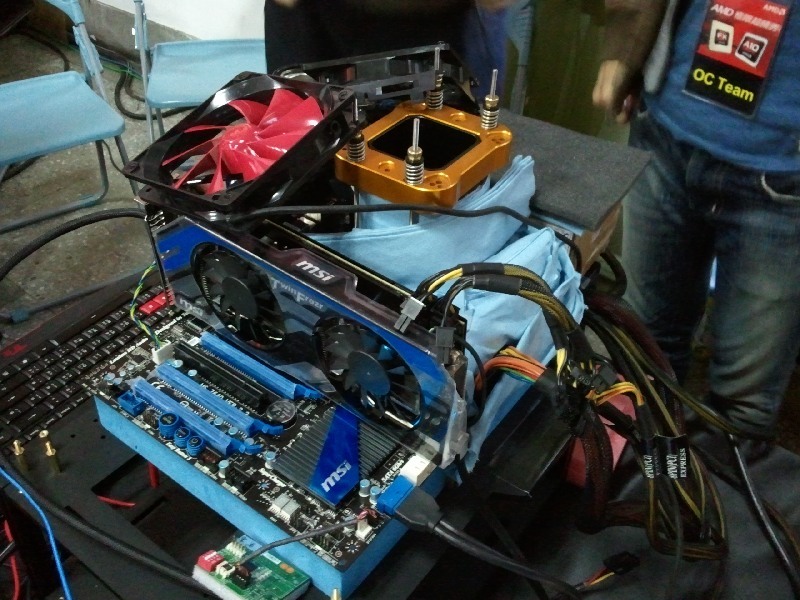 Our report contains some video, the overclocking results and of course lots of pictures. Enjoy! In the beginning there was … dancing. An Asian PR event is not a PR event if there’s no … dancing. For some reason, it seems that in this culture it’s unthinkable to warm up the crowd in any other way than having good-looking girls do an awkward and, let’s be honest, sometimes out of sync dance choreography. But, you know what, I don’t care that they lack ideas. In fact – I like it! And judging by the reactions from the (mostly male) audience, everyone was warmed up and ready for the presentations by the end of the dance routine. Anyway, we took a video of a part of the routine so you can judge yourself. The official bit – presentations. To be honest, being an enthusiast rather than a journalist, the presentations at most of the IT events are pretty boring to me. Usually they contain very little new information and just repeat the things you already know. 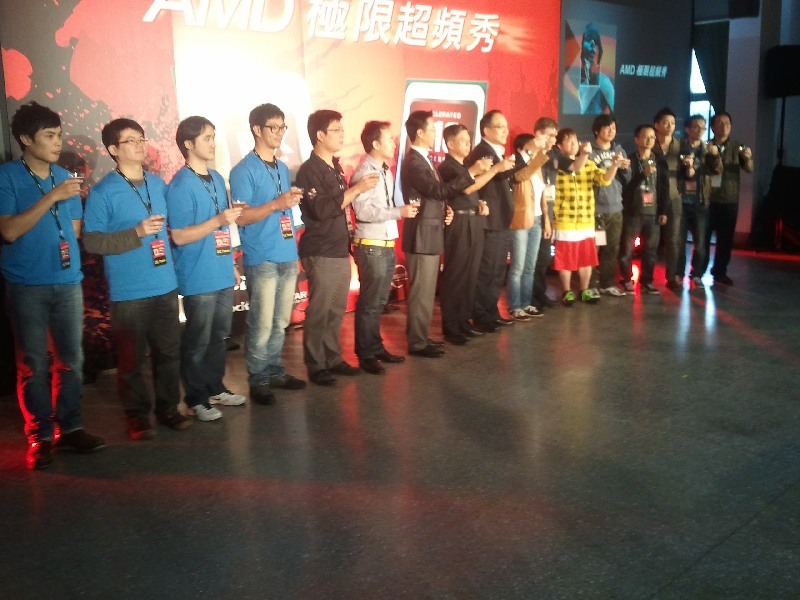 And it was not much different at this launch event: we know Vishera has 8 cores and we know Trinity is an APU. We know they have improved over the previous generations and we know the price is low. It’s the same ‘old’ story we’ve heard before … we already know. 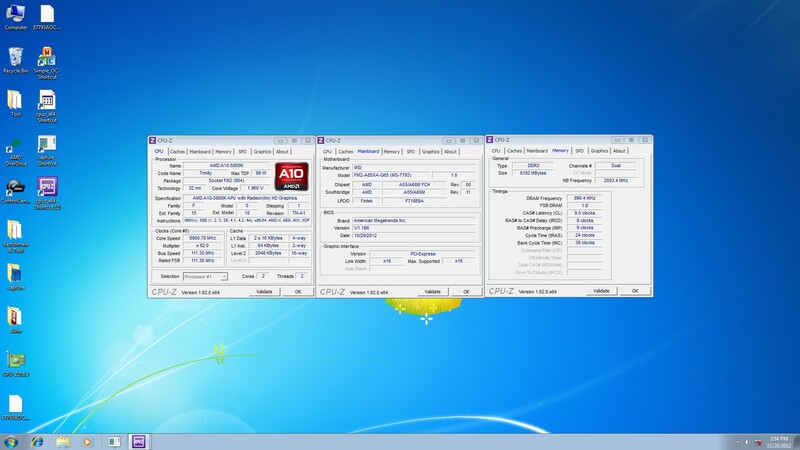 Moving on to overclocking stuff and general impressions. Definitely way more interesting than the official presentations and girl trio dancing (ehr – you sure about that? -ed.) 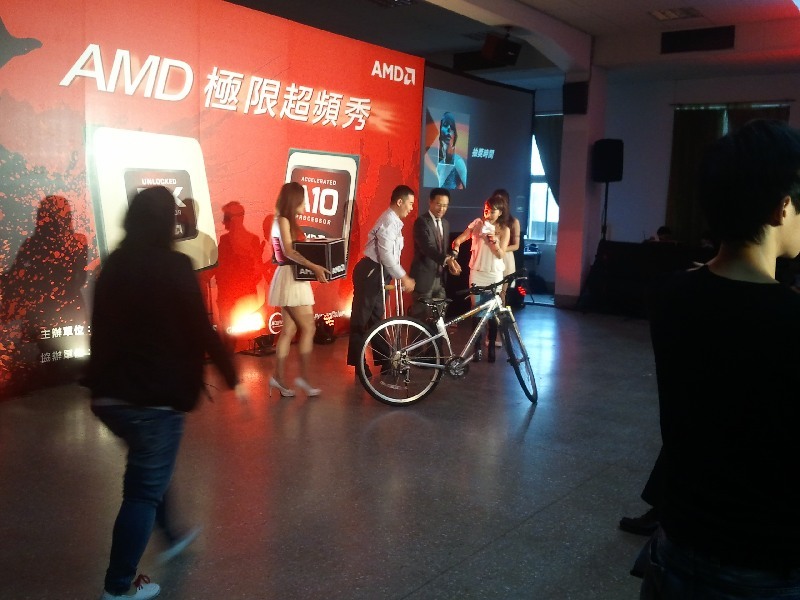 was of course the overclocking part of the launch event. 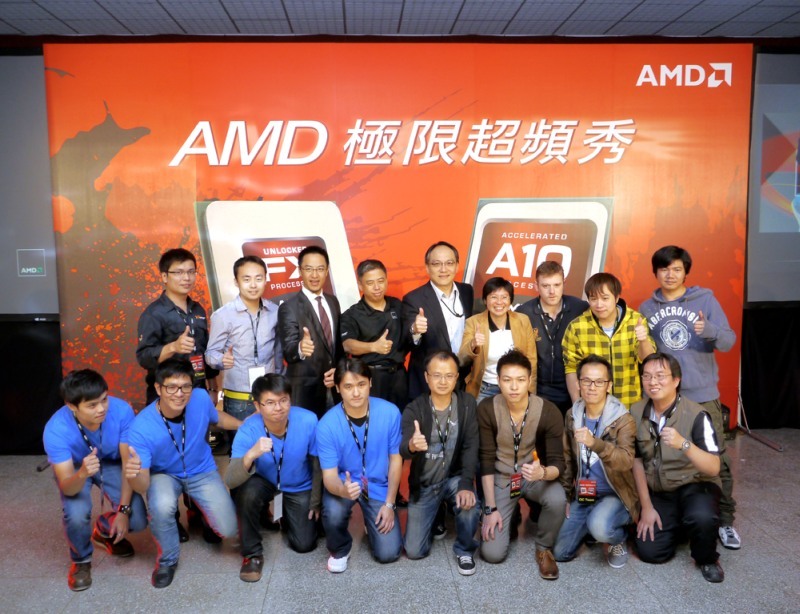 As we mentioned in the news article, AMD’s original plan was to hold an overclocking competition between all the vendors that bring AMD motherboards to the market. 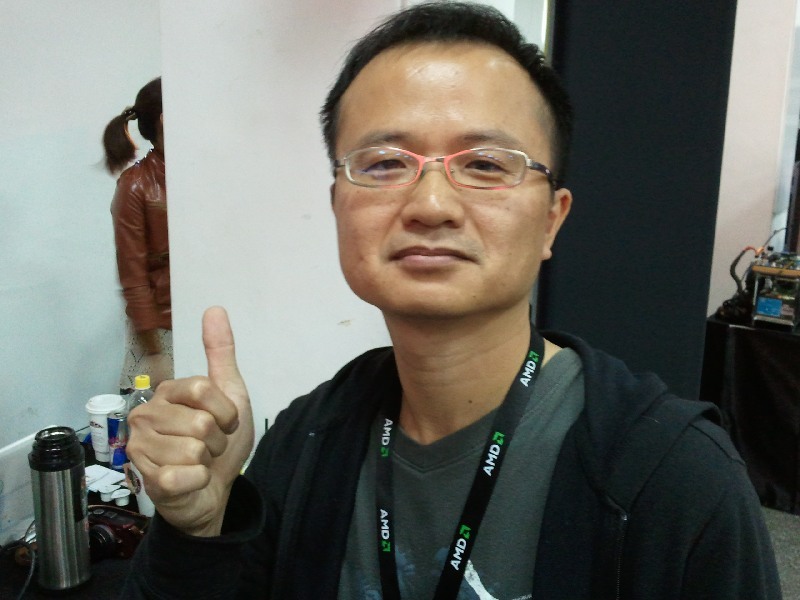 Getting closer to the actual event day, however, vendors started to get worried about the competition aspect as none of mainboard manufacturers are really eager to compete in a public environment. Following up on the event preparations of some of the vendors, I was a first-hand witness to how paranoid some teams got when discussing how to address the event. 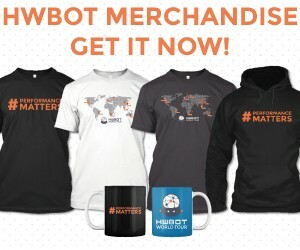 “What if the other has a better CPU?” – “What if another vendor writes a press release about having a higher overclocking result?” – “What if we lose to the other vendors and lose so much sales the building burns down and we all lose our jobs?”. Well, that last is a bit of an exaggeration, but it does display the surprisingly intense worries that come with public events. No vendor wants to look bad and the only way to look good is to make sure you’re better than all the others. 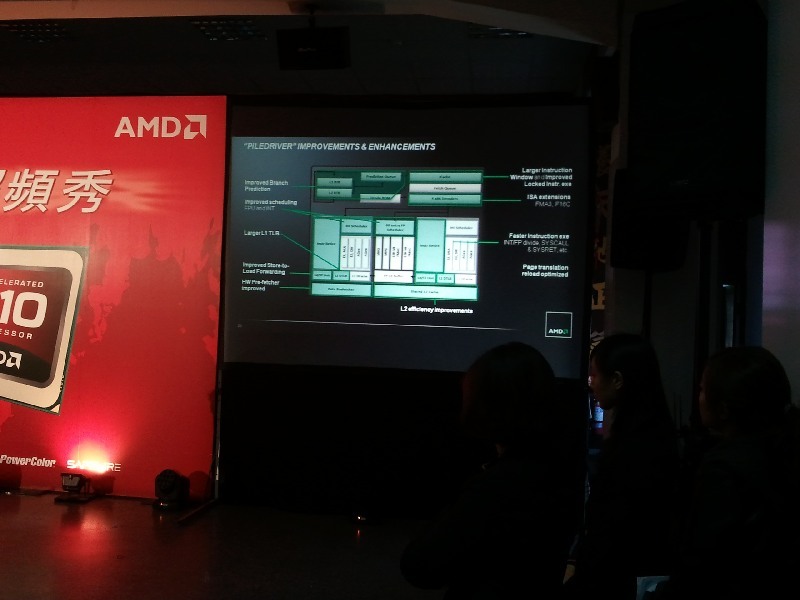 Anyway, long story short – AMD changed the event structure to one where every team just had to hit 6.5GHz with Trinity and 7.5GHz with Piledriver. Easier, less pressure and everyone agreed. 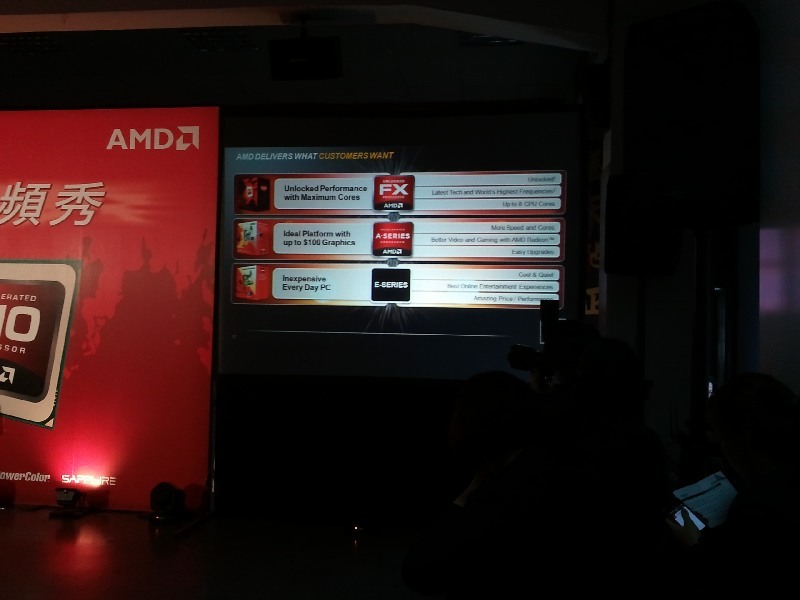 AMD also provided a total of six CPUs to each of the teams to use in the event, but also noted that you were allowed to use any Piledriver or Trinity you want – including the pretested ones. Having seen some of the test results, it seems that the six CPUs were pretty bad so using your own golden sample was necessary if you were interested in hitting some records. 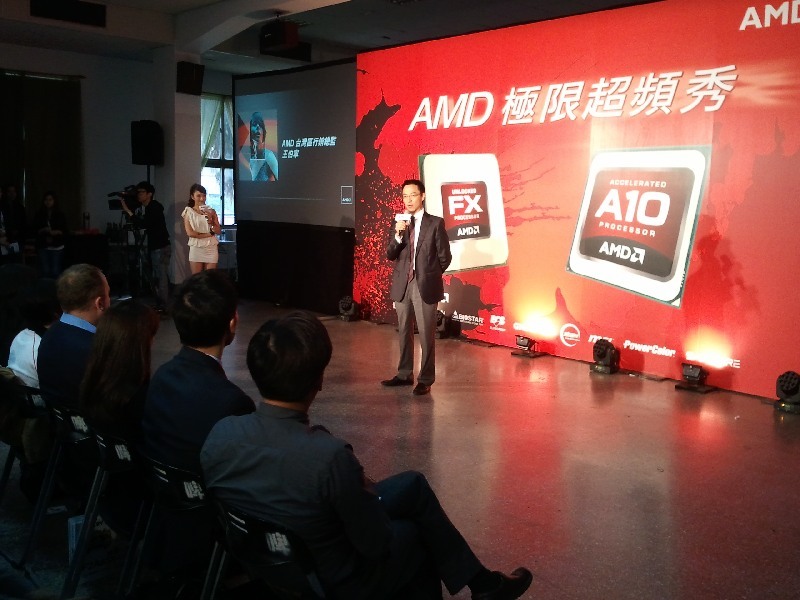 In any case, this kind of launch event is more about patting AMD on the back and showing them your support for their future products than it is about setting records or being competitive. 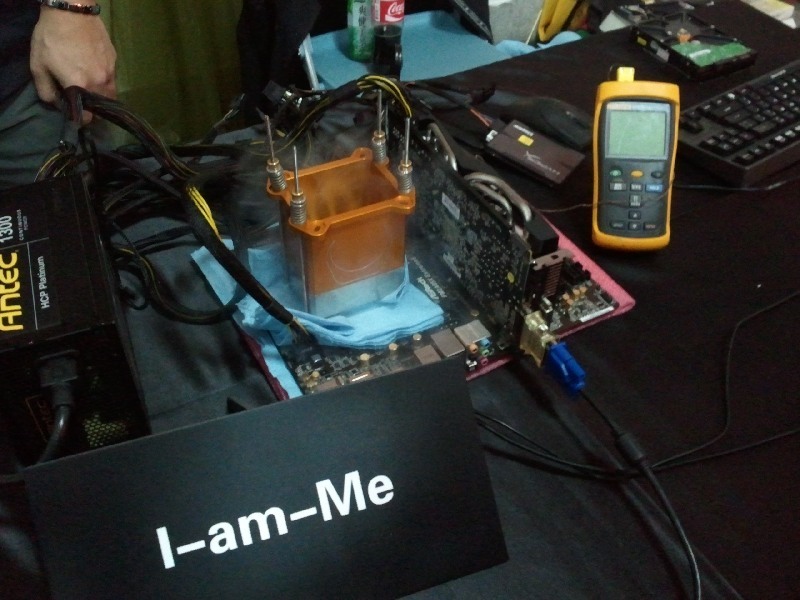 This kind of event set-up does give manufacturers that openly support extreme overclocking a great opportunity to show the general public that you are very confident about your products. After all, anything can go wrong at live demonstrations. 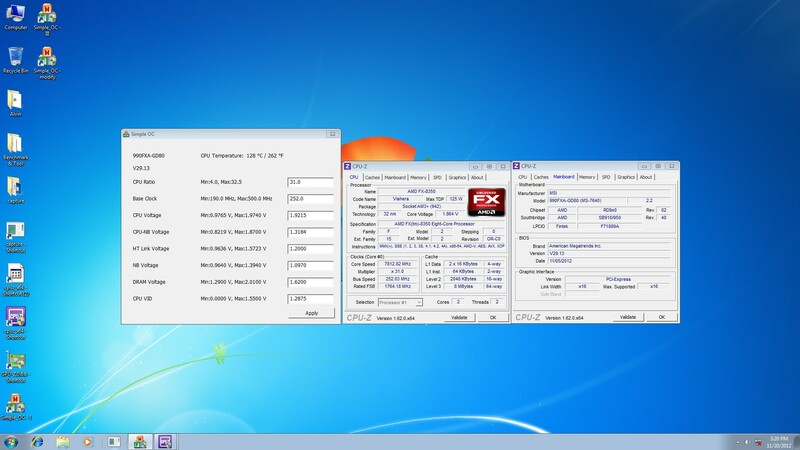 The four attending extreme overclocking teams did show just that: ASRock, Biostar, GIGABYTE and MSI boards are perfectly capable of doing extreme overclocking. 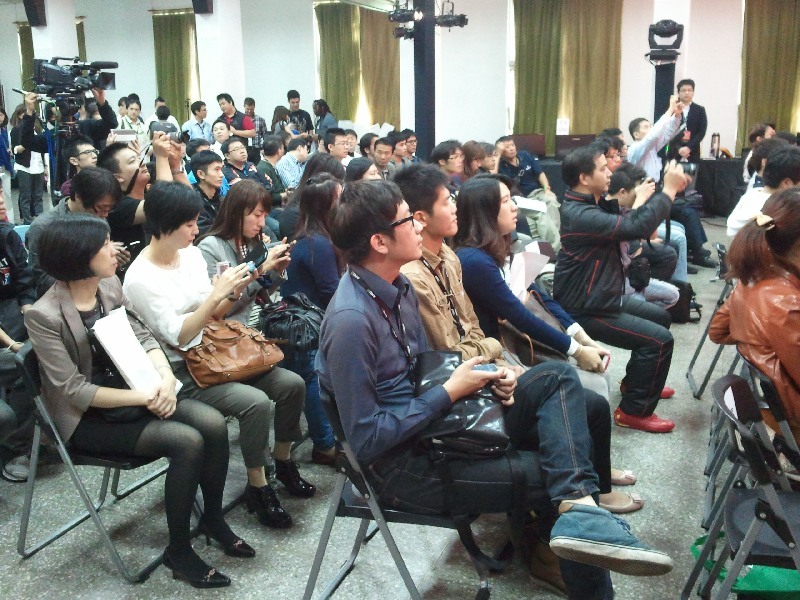 In addition, the companies even feel confident enough to show it in public. 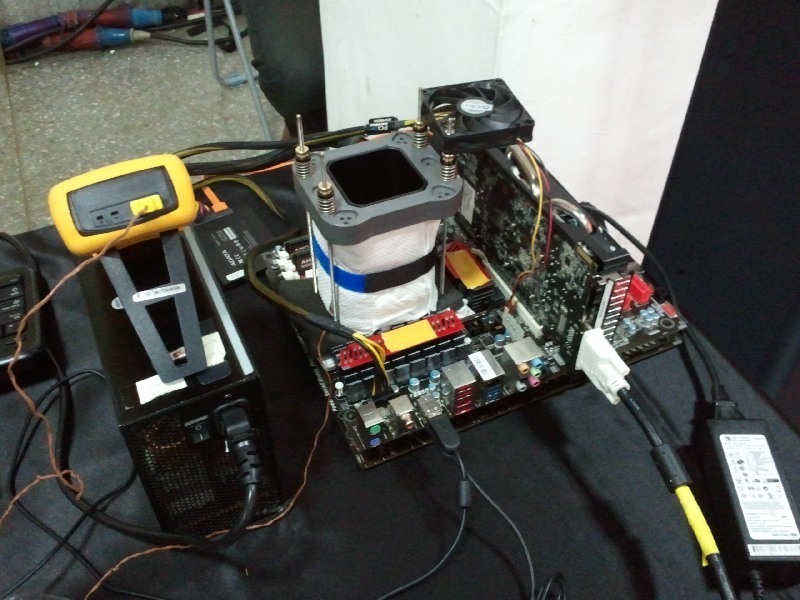 That ECS and Jetway (and Hong Kong based Sapphire) backed out of the public OC demonstration is not really a surprised: they don’t really have anyone in-house capable of extreme overclocking. It was a really surprise, though, that the Number One of the mainboard industry did not bother to show up … but more on that later. ASRock (I-am-me) on the verge of shutdown and then 8.06G. 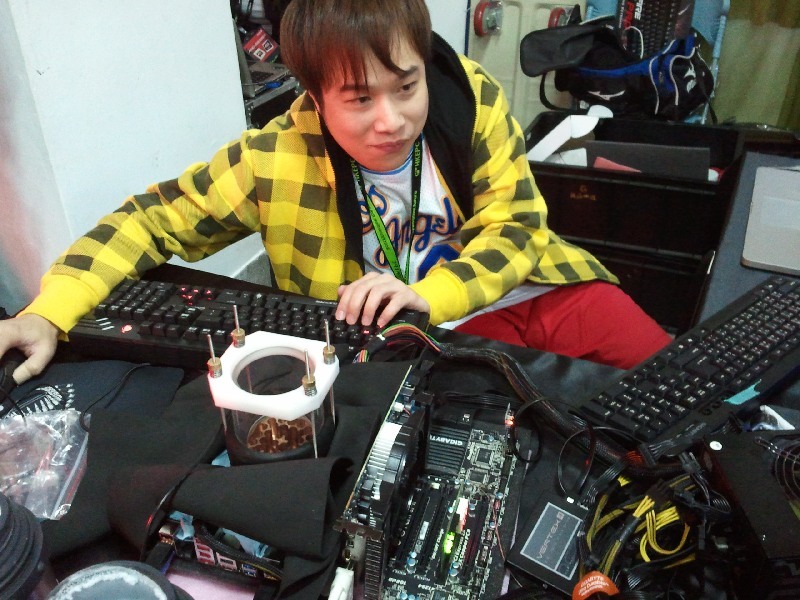 ASRock was of course represented by their in-house God of Overclocking NickShih. 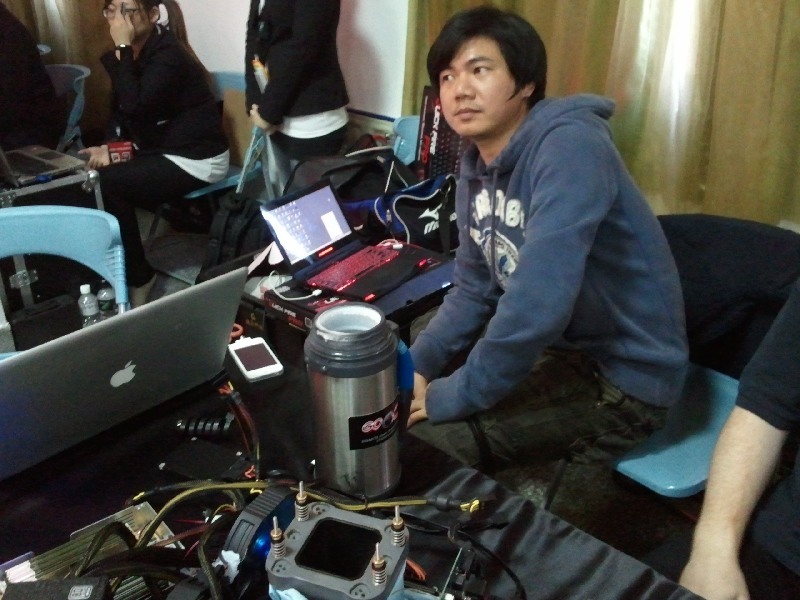 Alongside Nick we found Kevin Chen, one of Nick’s closest friends, and the person who was also present when ASRock had their first Liquid Helium session a couple of months ago. According to Nick, the team did not prepare that much for this event. That’s not a surprise, I’d say. 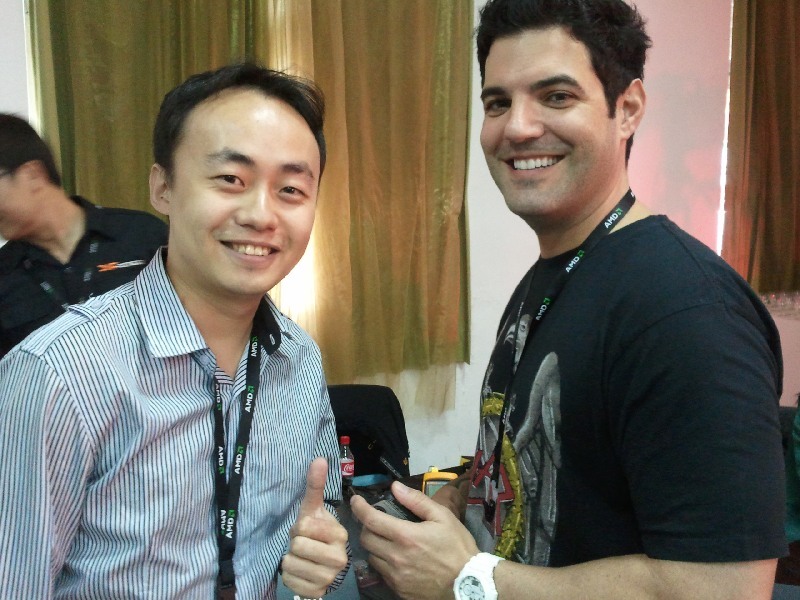 Nick’s very much focused his brainchild, the Z77 OC Formula, as well as Intel’s upcoming Haswell (…). 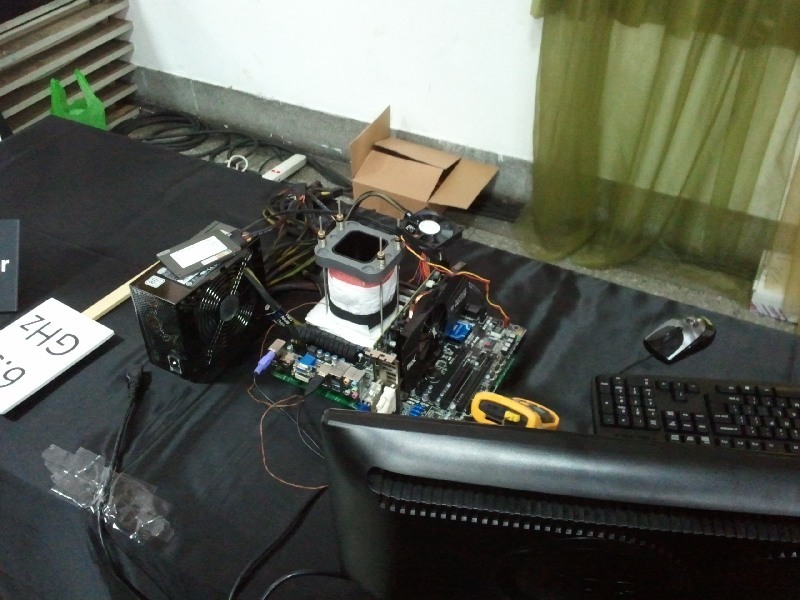 There’s no dedicated ASRock AMD mainboard for extreme overclocking, so Nick’s not working on that. 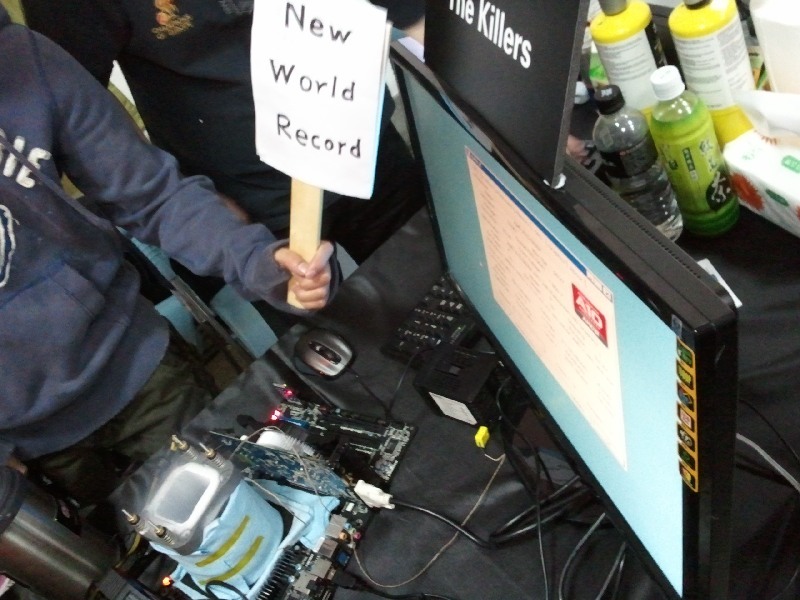 Also, unlike the other teams ASRock had not yet put out any Piledriver overclocking figures, so this public demo was pretty much the first time someone took an ASRock mainboard to OC Piledriver on LN2. 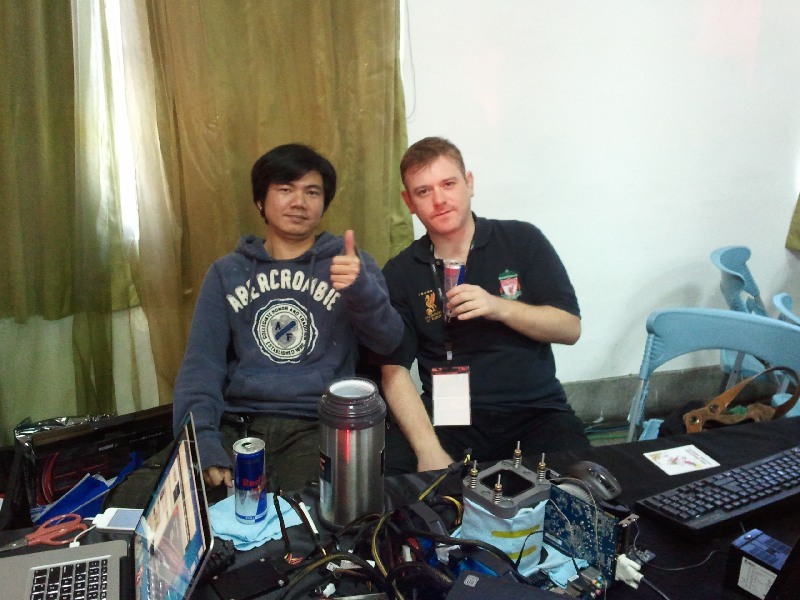 The final frequency of 8.06GHz the team reached can therefore be qualified as not bad at all for a first time. We’re not sure if Nick will do further in-house testing, but are definitely looking forward to future ASRock overclocking results! 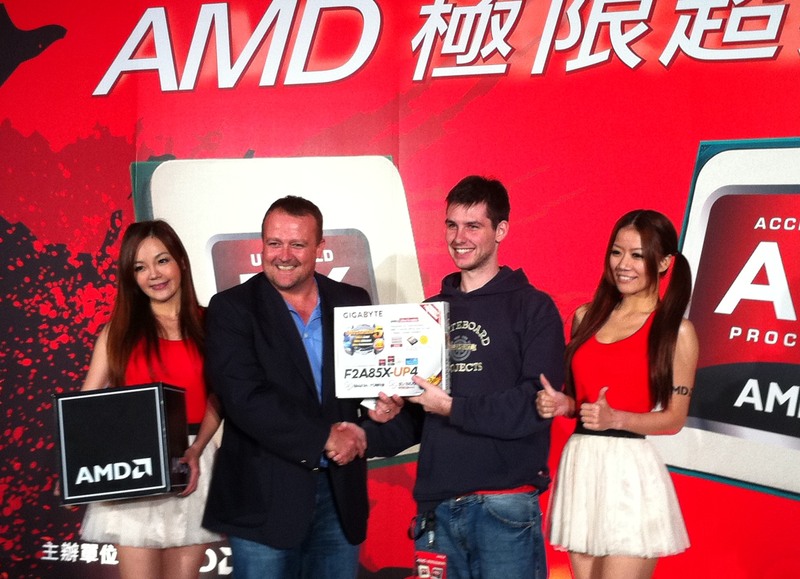 The least known team – well for me at least – was Biostar and their Boundless OCers According to AMD’s press release, the team consisted of a couple of BIOS, hardware and software engineers, so I assume they were all employed by Biostar. No familiar faces, though, so a bit hard to judge how much knowledge and skill the team really had. Interesting fait divers is that K|ngp|n actually dropped of one of his cooling pots at the Biostar office the day before the event! In any case, Biostar attended to hit the required targets of 6.5G and 7.5G and that’s what they did. Well done! GIGABYTE (The Killers) on a roll! 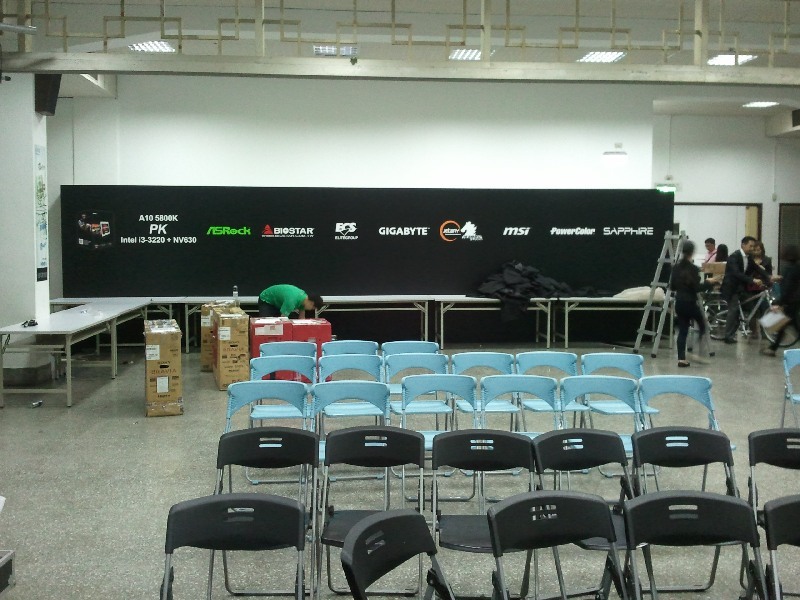 In contrast with the other teams, GIGABYTE did take the event very seriously. 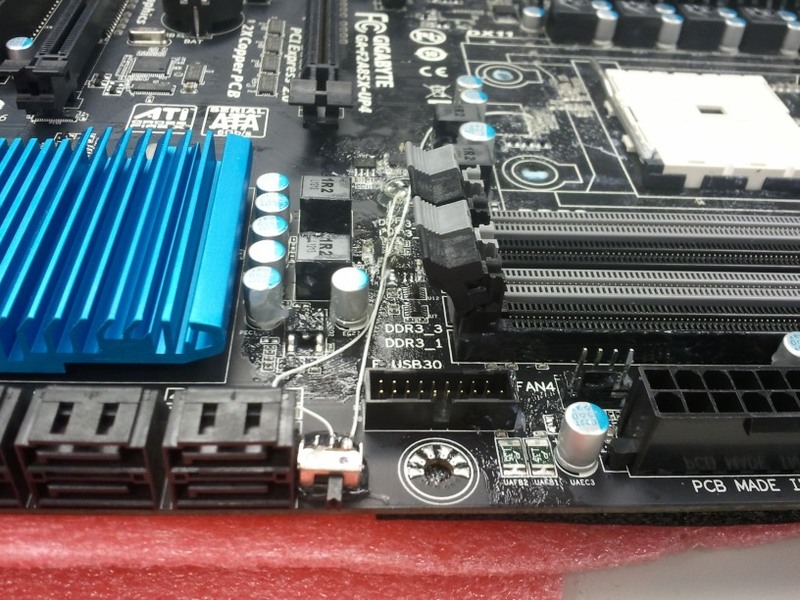 Modifying both mainboards (FM2 and AM3) by adding an LN2 mode switch to lower the frequency to the lowest P-state before aiming for the highest frequency is a clear sign of thorough preparation and dedication to the event. 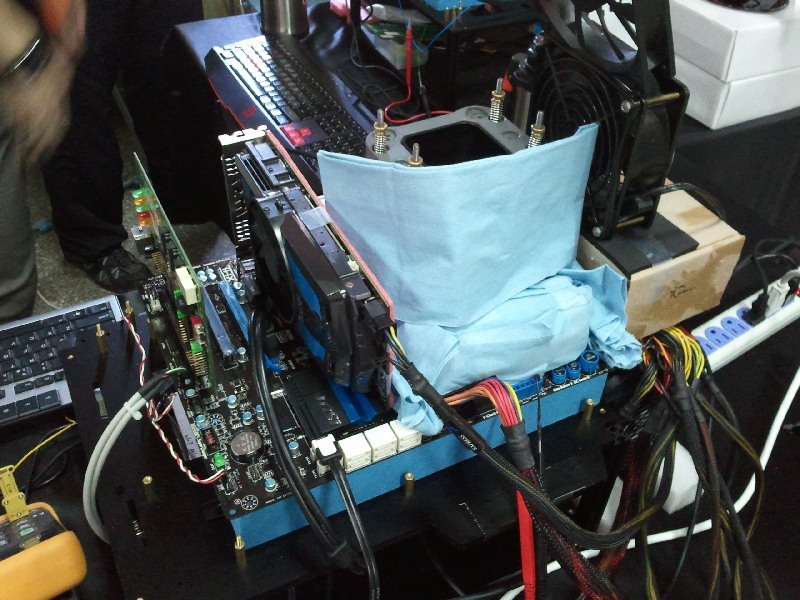 Alongside the inevitable Hicookie we found first-time live event overclocker SDougal – Stew from Gigabyte for the friends – and John Lam from HKEPC, a close friend of Hicookie. During the event, the team managed to improve the Trinity frequency record by almost 200MHz as well as hit an impressive 8.4GHz on FX-8350. Cool! 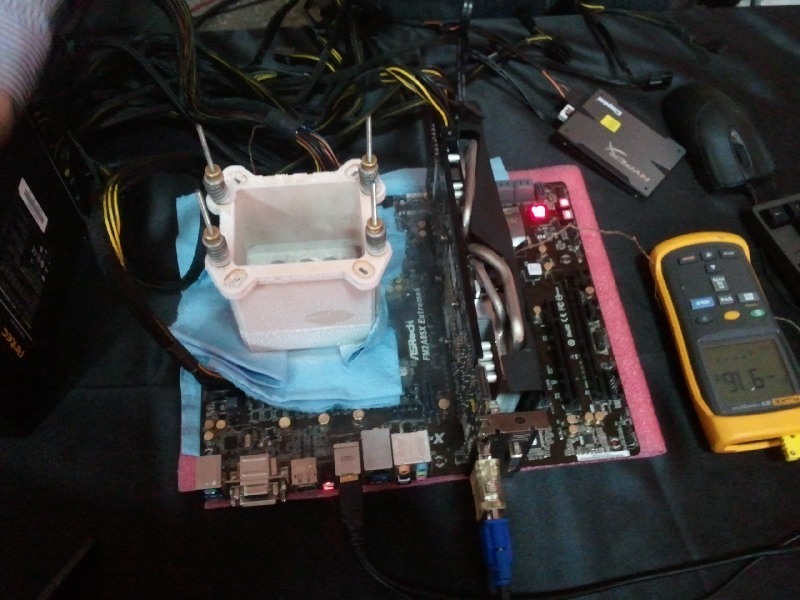 By the way, if you want to try the LN2 modification at home, check out the HWBOT forum thread for more information (including a how-to picture): “LN2 mode for GIGABYTE A85X-UP4 and 990FXA-UD3 (for high Trinity/Piledriver validations)” ! MSI (OC Style) hits the targets, but no new record. Having made quite a lot of noise regarding both the Trinity and Piledriver overclocking capability of their motherboards, I must say I was expecting quite a lot from the MSI team at the event. 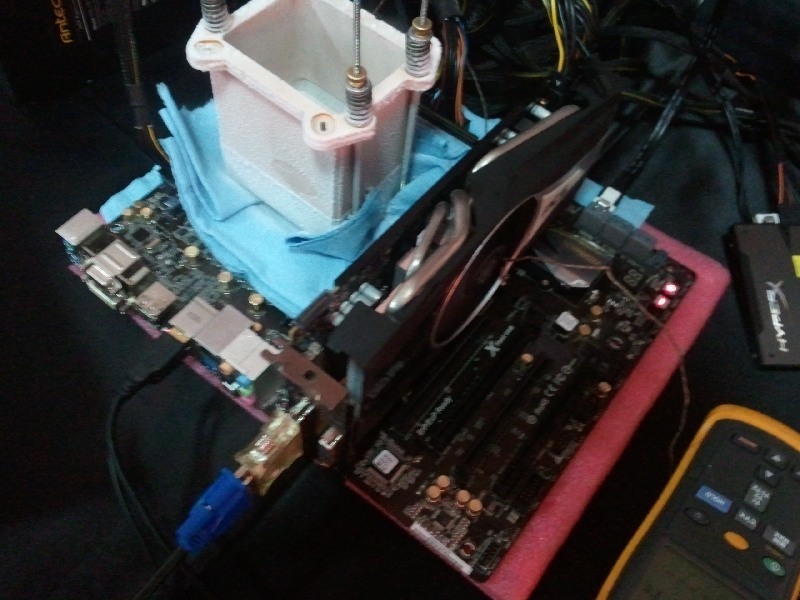 Previously, MSI had already submitted an 8.3GHz FX-8350 result as well as a 7.48GHz A10-5800K, but they didn’t quite get there during the live event. 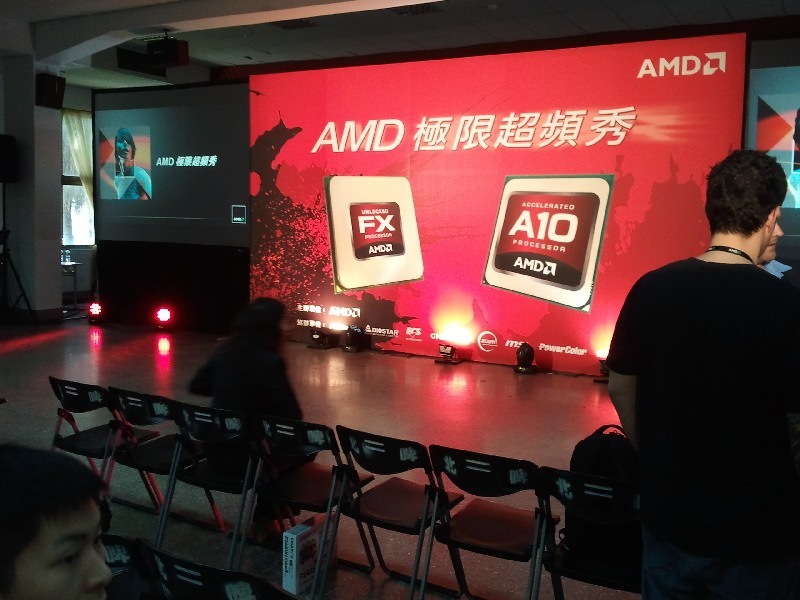 Now, before we all get suspicious here – I know this community is very much into conspiracy theories – the reason is quite simple: MSI used the CPUs provided by AMD for this event rather than bringing along their golden ones. The CPUs provided are, as mentioned before, definitely not the best silicon out there so it makes sense that they didn’t go as high as MSI had previously reached. As they told us, for MSI the task was to hit the targets of 6.5G and 7.5G and nothing more … which is exactly what they did. Perhaps a little disappointing – we were hoping to see a battle between GIGABYTE and MSI – but definitely understandable taking into account the risks you take when bringing a golden sample to a public events. Prove it! Prove it! Why not show, Number One? As we shortly talked about in the opening lines of the report, amongst its competitors ASUS (ROG) – the #1 mainboard vendor – stood out by its complete absence from this event. Not only we, but many other media with us, wondered why the number one of the mainboard industry didn’t bother to show up at this event as this event was a perfect opportunity to show off the quality of your products to the public. Especially given the fact that later that day the ROG team pushed their Piledriver further than anyone else, taking the decision not to show up is strange to say the least. It begs the question … why? Is it because they have no confidence in their products? Of course not. Everyone knows ASUS (ROG) builds high-quality and all-around solid products that are well-capable of withstanding extreme temperatures and overclocking. No one puts a question mark next to the word quality. Is it perhaps because they were afraid of the competition? Well – that is definitely a possibility. Given the “slightly” worried faces I saw in companies that aren’t #1, I can only imagine how much pressure it must be to be competing as the market leader. Especially in a public environment, as market leader, you are open to attacks from everyone else. No competitor will hesitate to grab the chance to make you look bad in front of a media audience. But, then again, … this wasn’t a competition. It was a demonstration. 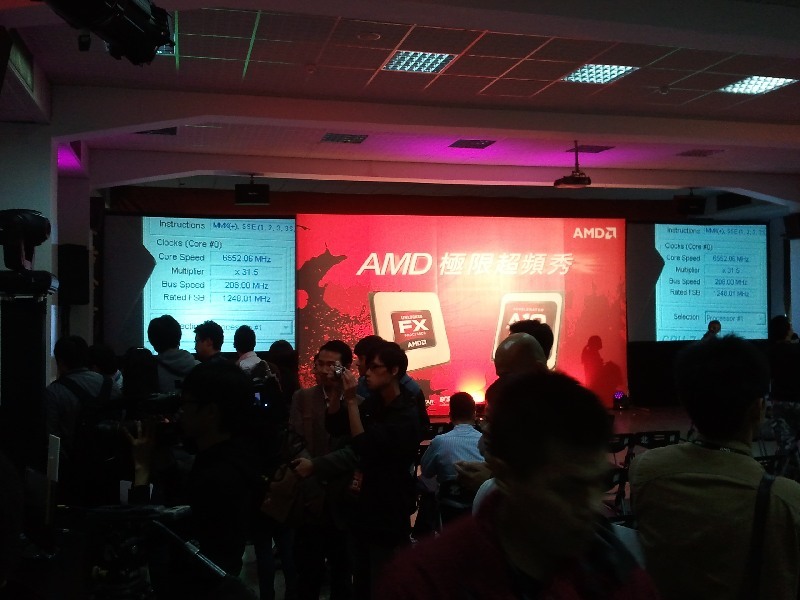 In fact, AMD had prohibited any vendor from making a press release of the event stating anything along the lines of “we beat X or Y”. Technically, there’s no problem. So far I have not seen any media coverage stating anything like “Gigabyte won” (as they had the highest results) because, well, … it wasn’t a competition! 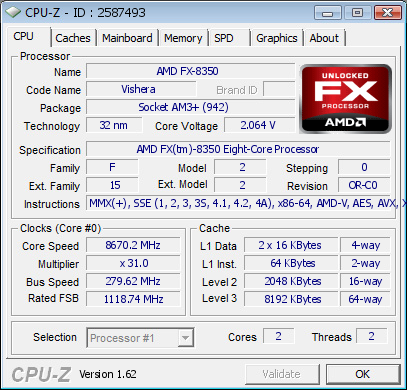 Also, even if it would have been a competition … just a couple of hours after the public event, AndreYang posted an 8.67GHz FX-8350 validation. Way higher than the previous Piledriver record and way higher than anything shown at the public event. If it had been a competition, they would’ve won. 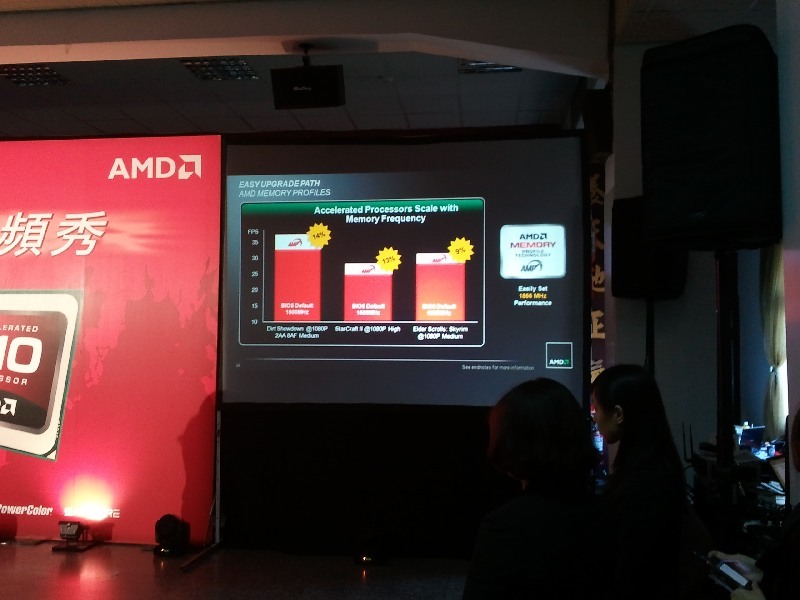 Even though AMD is currently in a particularly difficult situation facing financially troubles and a product line-up that isn’t competing at the top performance level, I still like them. Not because my first PC was AMD-based -oh nostalgia- but because they are still promoting overclocking. 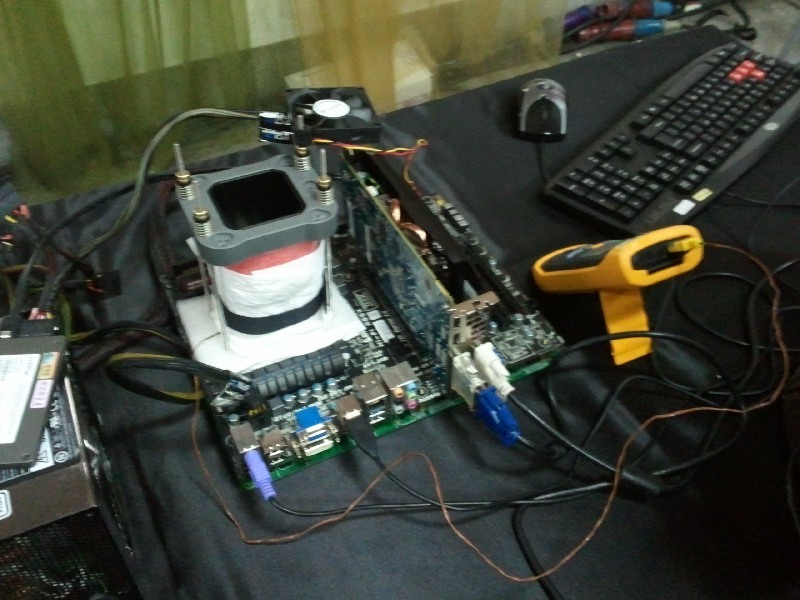 The Trinity APU is a lot of fun to play 3D with and Piledriver seems to be almost ready for 9GHz, which would definitely engage the community in making loads and loads of “It’s over 9000”-jokes. 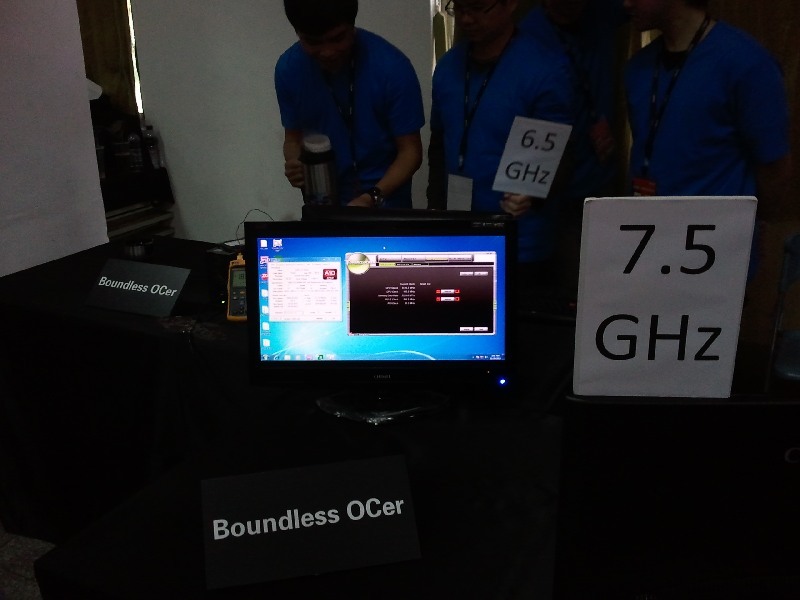 The event organization was a little bit chaotic changing from competition to demonstration on such short notice, but we can fully understand the concerns of the various attending overclocking teams. I must say, I am impressed by the four attending teams (well – vendors). Openly endorsing overclocking is, from a management point of view, already quite a step to take and actually publishing internal overclocking results is pretty much pushing it with management (especially if you’re not taking the records). But coming out, in public, to show off the quality of your product in the same room as your competitors and facing the media is essentially going very far out of your comfort zone and requires a lot of courage. A lot is at stake: not getting beaten, making sure you don’t have hardware failure, and so on. Everyone who has attended a live overclocking event (MOA, GOOC or even just a LAN party) knows that a lot can go wrong and there’s definitely pressure when having only a small timeframe to achieve an overclocking result. The overclockers representing ASRock, Biostar, GIGABYTE as well as MSI not only have all the pressure you have at the live events, but also bosses and management watching over their shoulders as they effectively are representing an entire company! Props to those who have the, excuse the phrase, balls to do it. 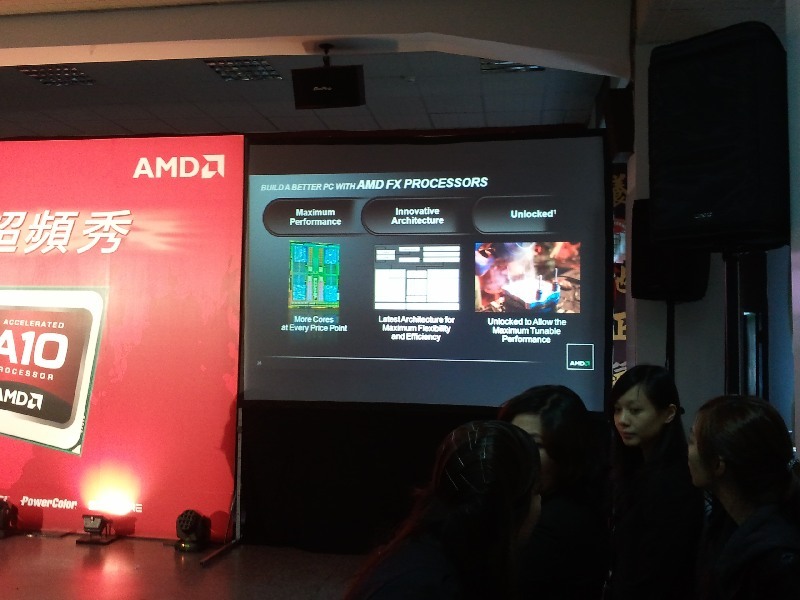 Reading in between the lines of the conversations we had, AMD did seem very eager to do more of this type of extreme overclocking events, so we’re looking forward to that. 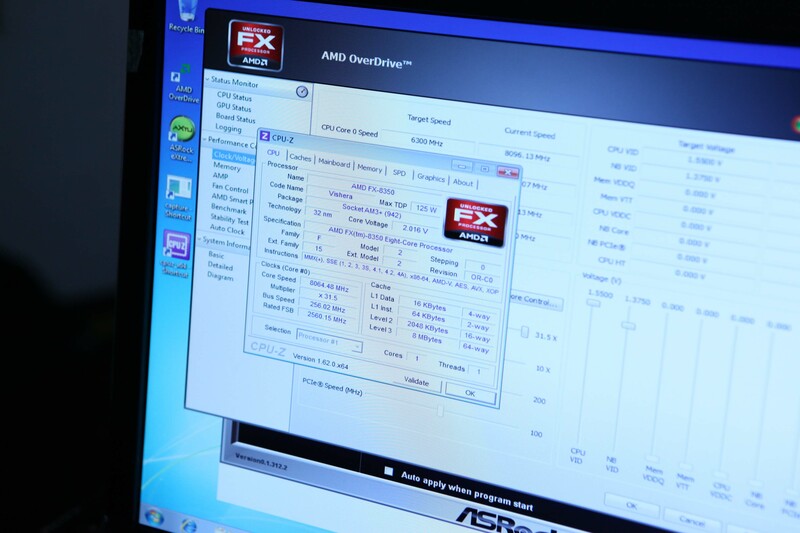 In the meantime, have fun overclocking your own AMD processor and perhaps get a little competitive in the process. Doesn’t matter if you’re just using your Piledriver CPU or Trinity on ECS, MSI or GIGABYTE mainboard. In the end, it’s just a game!